Feeling Overwhelmed in Your Dental Business? Introducing Resolve Practice Development  a practical commonsense approach! We created Resolve Practice Development for clients who are in need, and who would like some help directly in their practice. If you feel overwhelmed about how many issues your practice is experiencing and are not sure where to start, our Resolve Practice Development is for you. At Resolve  Dental Management Solutions we believe that a crucial factor for the success of a dental business is a practical, commonsense approach to management. We are passionate about seeing your business thrive! Work should be an enjoyable environment, not a stressful one. Our Practice Development support service can help you achieve the profitable business you envisioned. Resolve Practice Development is fantastic for those practices that need a solution to their problems. We work at your pace within your budget and become part of your team. 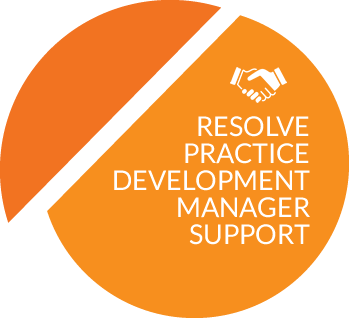 ?Sometimes there may be issues in a practice that require immediate attention, but by using the Resolve Practice development support service, we can help you work towards your preferred resolution in a quick and positive manner. Typical issues we encounter are a lack of patients or staffing problems. Both of these issues can quickly spiral into major financial strife. Dont let that happen to you! ?We can also offer assistance with a new start practice, or preparing a practice for sale. We begin with an assessment of where you are now, we call this a Discovery Day. We meet with you to look at key areas of your dental business, identifying what is causing the issues you are experiencing in your practice. Once we have identified the areas that need changing, one of our highly experienced staff members will come into your practice and work side by side with you. They will help create a business plan, organise structure, and help develop the practice into a positive, profitable business. We are passionate about making your dental business a success! Dont waste another day struggling with the same old issues in your practice. We are ready to help transform your business into a profitable and enjoyable venture. For a limited time we will conduct a Discovery Day FREE OF CHARGE. Please call our office and we will schedule a suitable date and time.